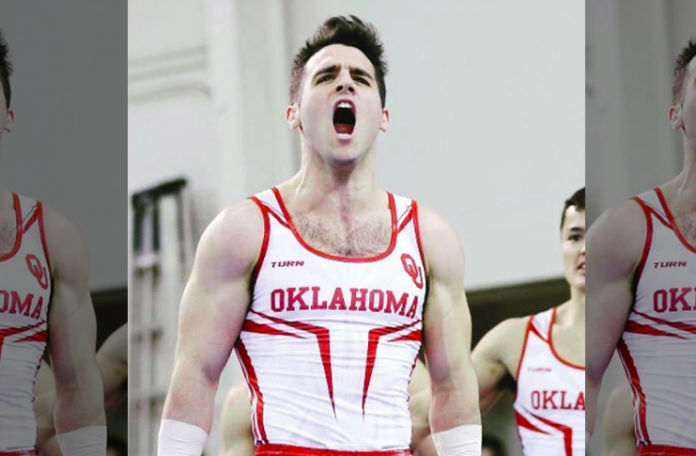 Oklahoma gymnastics continues to stay red hot by breaking the 420 mark against Ohio State. Levi Anderson competed all six events for the first time this season and scored 83 points. Yul Moldauer hit a sensational parallel bars routine and Gage Dyer wins title on floor. Next up for Oklahoma, they will face Illinois and Nebraska in Lincoln Saturday February 2nd. Stanford freshman Brody Malone scored the highest all-around of the season with 84.550. Another impressive outing for Stanford. Can they go undefeated this year? Michigan wins a tough road match-up against Minnesota. Cameron Bock lead the way by scoring 84 points in the all-around while capturing events titles on rings, parallel bars, and high bar. Illinois stays unbeaten with a dominant performance at home against Iowa. Johnny Jacobson took home the all-around and parallel bar titles. 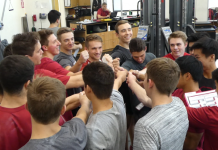 This team is showing why they are favorites to win the Big Ten again this year. Penn State continues to pile up the wins early into the season. Good teams defend at home. That’s exactly what they executed with solid routines from Sam Zakutney and Favian Valdez. The No. 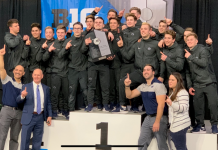 8 Penn State men’s gymnastics team shucked the No. 7 Nebraska Cornhuskers, 409.70-395.00, on Saturday afternoon in the Big Ten opener at Rec Hall.